not have the quality to hold up in a commercial environment. 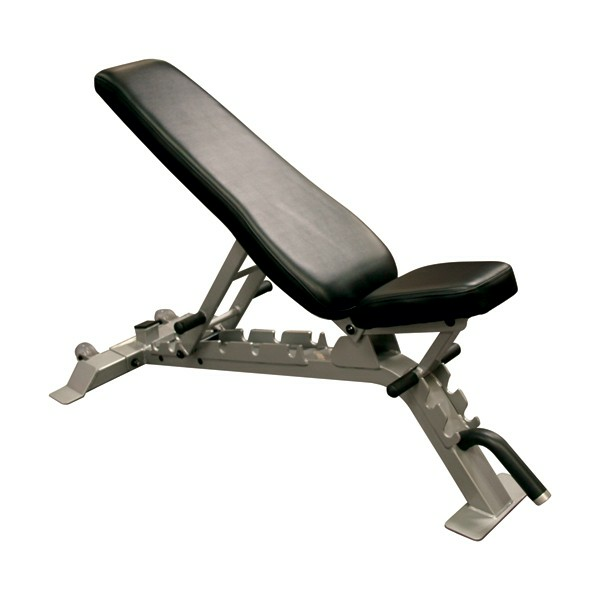 The SFID325 satisfies both of these needs in an affordable quality bench. The unit adjusts from decline to flat to several incline positions. The back pad and seat pad adjust individually of each other. The SFID325 has a tested weight capacity of over 1000 pounds with its 2"x3", eleven-gauge steel. Thick durable upholstery holds up in any setting. Oversized wheels with a front transport handle make the SFID325 very easy to move. The perfect match for dumbbell workouts, smith machines, squat racks and power racks, the SFID325 is an essential bench for any facility at an amazing value.